DR. DANIELLE SPENCER IS LIVING TO WIN! 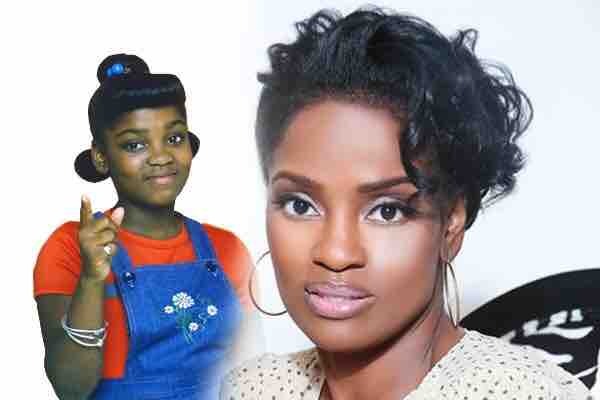 In the mid to late 1970s, American actress Dr. Danielle Spencer played the character "Dee" who was the personification of the typical annoying bratty little sister on ABC's hit show What's Happening. The comedy series centered around teenagers and their antics while growing up in the inner city of Los Angeles, California. The role of "Dee Thomas," became an American household name and her character was most notably known for her wisecracking banter. Exactly 42 years to the date of her major car accident in 1976 resulting in the untimely death of her stepfather , actor Tim Pelt and leaving her in a coma for three weeks, a broken leg, arm and pelvis, Dr. Danielle Spencer started experiencing massive debilitating headaches. After going back and forth to the doctor for medicine, the headaches persisted until last week when she became unconscious. These headaches left her unresponsive and caused her to almost succumb to her illness. With quick action from expert doctors, they did emergency brain surgery removing a bleeding hematoma that formed due to the car accident 42 years ago. The surgery was a success and she must now heal and recover. As of today it is not known how long she will be in recovery because of her recent bout with cancer and spinal cord injury. Danielle was recovering at home in Virginia with the assistance of home health care aides daily who were focusing on physical and occupational therapy for some memory loss, slurred speech and to teach her how to walk again. Therapy at home was not sufficient, she will was admitted to a rehabilitation facility and within the next few days will be transferred back to the original hospital that she was admitted to for the brain hematoma for ongoing test as rehab did help but did not achieve results expected! "Danielle is overwhelmed by all of the love and support she has received from her family, friends and media outlets. She greatly appreciates the "What's Happening!!" friends and supporters who have held her down through it all!" "Danielle does have insurance however, there have been many costs associated with her continued care that insurance does not cover and have left her in a financial bind. Funds set up "Friends of Danielle" Go Fund Me page via Lomax Communication (who handles her marketing and social media/web) go directly to Danielle and will assist with these associated costs and help her sustain the continued care that is much needed." "Thank you for allowing her time to heal and prepare for whatever God has in store for her! We ask that you please continue as you have done to keep her in your thoughts and prayers!" Danielle has lent her talents to various television and film projects, which included a guest appearance as a veterinarian in Jack Nicholson's film "As a Good As It Gets" (1997) and Peter Rabbit and the Crucifix (2001). Over the years Danielle has appeared in NBC's soap opera "Days of Our Lives" (2001). She was featured in USA's TV Land Confidential: Untold Stories" (2007). She was also recognized for her trademark phrase "Oooh I'm Gonna Tell Mama" on the TV miniseries "What's Happening" 100 Greatest Quotes and Catch Phrases" (2006). Danielle kept busy as a child star making guest appearances on such iconic shows such as "The Brady Bunch Special (1977), Christmas at Walt Disney-world (1978), "The Tap Dance Kid" (1978), USA's "The Family Feud" (1979) and "Soul Train" (1987). Danielle was recognized with an award at the fourth annual "The TV Land Awards" in 2006 for the brattiest kid on television: an achievement she truly relishes. In 1993 Danielle became a doctor of veterinary medicine, a life long dream and she has practiced over 25 years. As an ICON whose memorable work on the show What's Happening, her career as a veterinarian and author will be preserved, remembered, researched and exhibited for years to come. Enduring adversity, Dr. Spencer's strength to overcome is apparent. On the rise, she will not let her disability and illness stop her as she recently starred in Jeremy Cormier's"Even A Good Man Is Tempted." In addition Dr Danielle has the distinction of being the first black female child to star regularly in a television series as exhibited in the National Museum of African American history and culture in Washington DC. The funds withdrawn from this account go directly to the beneficiary Danielle Spencer and they are used for medical bills as they come in. The funds will be used for her on going medical care. Danielle is in Rehab now and will be re-admitted back to hospital where she had her original brain surgery from for evaluation as she did not respond as supected to reach. The manager of this campaign is Michael Chisholm, Marketing Consultant and representative of Danielle Spencer. Danielle has lent her talents to various television and film projects, which included a guest appearance as a veterinarian in Jack Nicholson's film "As a Good As It Gets" (1997) and Peter Rabbit and the Crucifix (2001). Over the years Danielle has appeared in NBC's soap opera "Days of Our Lives" (2001). She was featured in USA's TV Land Confidential: Untold Stories" (2007). She was also recognized for her trademark phrase "Oooh I'm Gonna Tell Mama" on the TV miniseries "What's Happening" 100 Greatest Quotes and Catch Phrases" (2006). Danielle kept busy as a child star making guest appearances on such iconic shows such as "The Brady Bunch Special (1977), Christmas at Walt Disney-world (1978), "The Tap Dance Kid" (1978), USA's "The Family Feud" (1979) and "Soul Train" (1987). Danielle was recognized with an award at the fourth annual "The TV Land Awards" in 2006 for the brattiest kid on television: an achievement she truly relishes. In 1993 Danielle became a doctor of veterinary medicine, a life long dream and she has practiced over 25 years. As an ICON whose memorable work on the show What's Happening, her career as a veterinarian and author will be preserved, remembered, researched and exhibited for years to come. Enduring adversity, Dr. Spencer's strength to overcome is apparent. On the rise, she will not let her disability and illness stop her as she recently starred in Jeremy Cormier's "Even A Good Man Is Tempted."